Military Cemetery/Memorial / Fynwent milwrol: Etaples Cemetery, France. Ref No Grave or Memorial / Rhif cyfeirnod bedd: XXVIII.N.10. 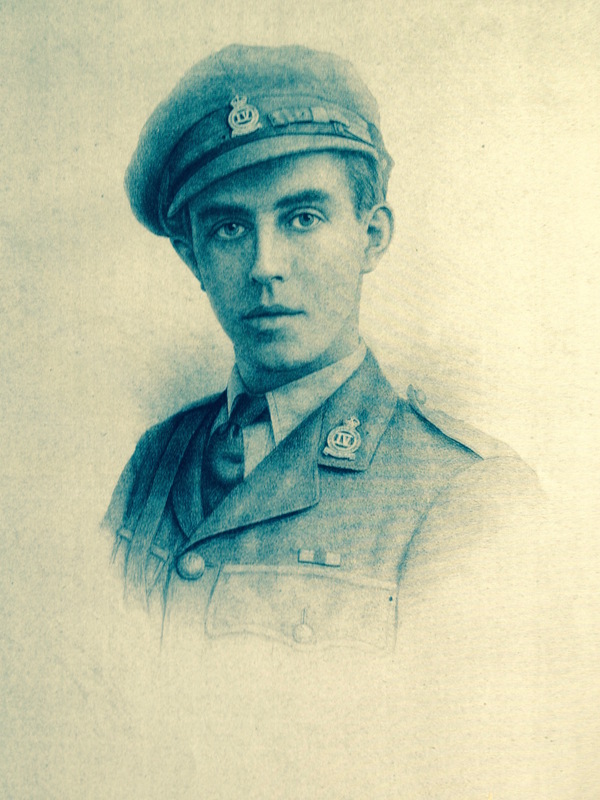 Lieutenant Walter Digby Buddicom was a very brave soldier having been awarded the Military Cross early in his service during WWI (see below). His demise came as a result of an accident while instructing his men on the use of a Lewis gun (machine gun) on a firing range in northern France. The gun had been used to fire at fixed targets but suddenly jammed as a result of the heat generated within the mechanism during its use. It was left to cool down and Lieutenant Buddicom and his men walked forward of the weapon to inspect the results of their firing on the targets at the far end of the range. Whilst in that position the mechanism in the gun, having cooled, sprung back into life and sprayed a series of rounds into the soldiers standing by the targets. A number were injured and Lieutenant Buddicom was killed. His death is commemorated on a plaque behind the pulpit in the parish church at Nannerch. Walter Digby Buddicom was born in 1894, had two sisters Venetia and Marcia and was a member of a very wealthy family. His father Harry William Buddicom, like his father before him, was a skilled engineer and inventor. They had designed and built locomotives and railways throughout Europe, south America and elsewhere and were leading figures in the first generation of railway engineers. His mother, Augusta Henrietta Sophia Digby of Studland Manor in Dorset, was also from a well to do family. One of her forbears was Sir Everard Digby and a co-conspirator with Guy Fawkes. Walter and his family lived on the Penbedw estate in Nannerch and they were indeed a society family with considerable influence owning much of the land on the Clwydian hills and a 3,000 acre estate in Nantglyn near Denbigh (including the land that lies beneath the Brenig reservoir) as well as properties in France, Ireland and England. The family funded the restoration of the churches in Nannerch and Cilcain and built the village school in Nannerch. Walter’s sister, Venetia Digby Buddicom, built the village hall in Nannerch as a memorial to her father and to Walter. Walter married Vava from Monstreven, Kildare, Ireland, in a relatively low key ceremony given the fact that at this time Walter was a serving soldier. That said the marriage was reported at court and recorded in the Times as well as local papers. They had no children. 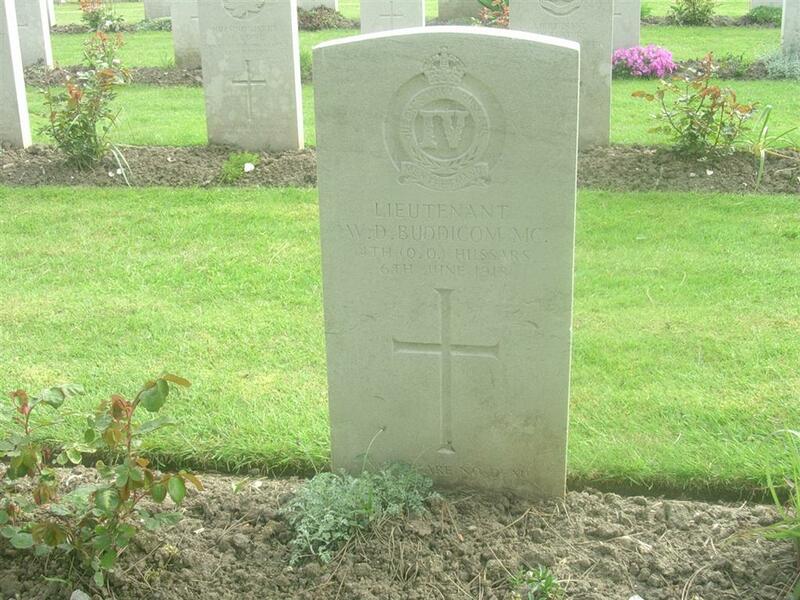 Having volunteered for the army Walter became an officer and served with distinction on the western front. He was extremely brave and would often lead foraging parties towards enemy lines to gather intelligence on the enemy’s positions. 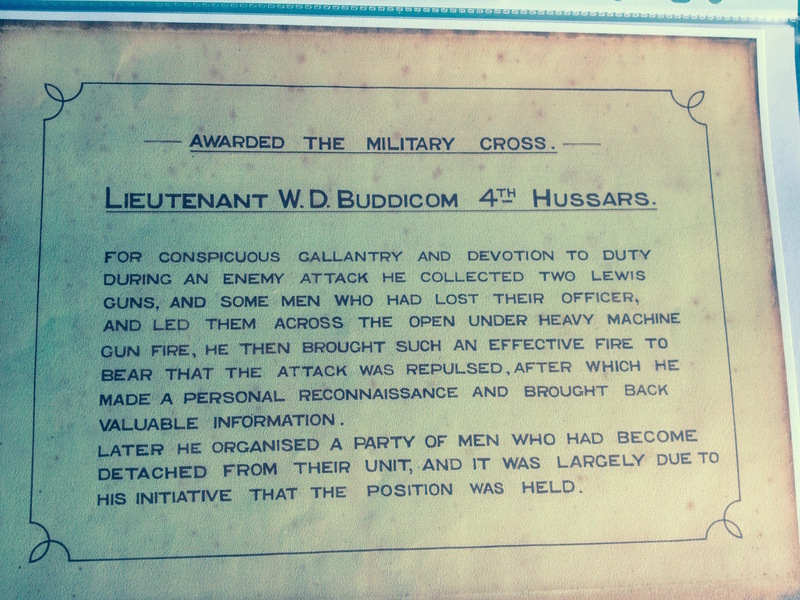 He was awarded the Military Cross for bravery early in the war and the citation below outlines the circumstances. During the course of this action Walter had to crawl under the barbed wire played down in front of the enemy trenches. He had to cut the wire and he used a set of wire cutters from home that he had been given by his father. The actual wire cutters and pouch (pictured here) are now in the possession of Mr. Cliff Halsall whose father was the head game keeper on the Penbedw estate. Considerable thanks are also due to Mr. Halsall who has been kind enough to prove much of the above information about Walter and the Penbedw estate.